We are naturally programmed to heal from wounds. But there are times in life the injury or illness is too much to heal without intervention. If you are healing after a divorce, or another painful experience, read the questions below and find out how your answers provide hints about how to heal your life! Are you the type of person that immediately unpacks when arriving at your destination? Do you place your things on hangers and into the drawers or do you work out of your suitcase? Do you avoid the doctor at all costs or do you quickly go to determine a diagnosis and seek treatment? When you have a disagreement with a family member or friend, do you wait for it to blow over or do you work together to resolve it? When you’re feeling burnt out and stuck, do you seek the motivation and support you need or do you work endlessly to figure it out on your own? 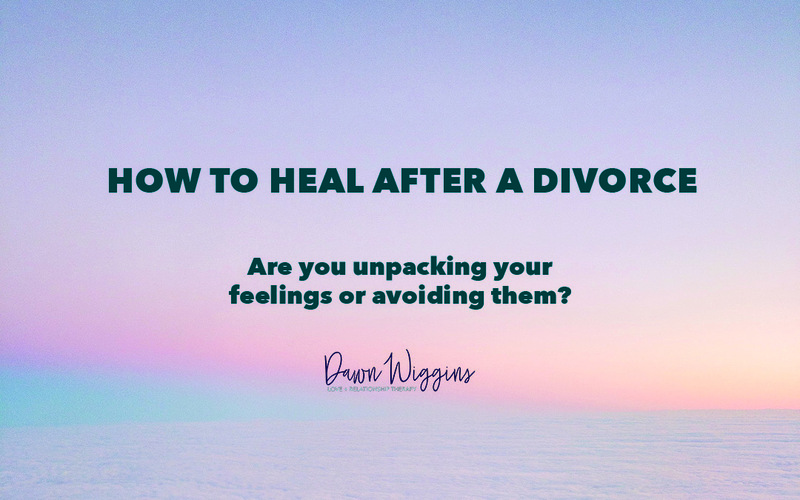 How you answer these four questions about healing after a divorce will shed a lot of light on how your divorce recovery is going! It’s common for folks to compare their divorce healing journey to others; but a comparison is best used as a measurement, not a judgment. Sadly when we compare ourselves to others, we are typically determining a winner and a loser. Rather than compare, let’s explore what’s holding you back from feeling and healing better. Healing Question #1: Do you unpack? 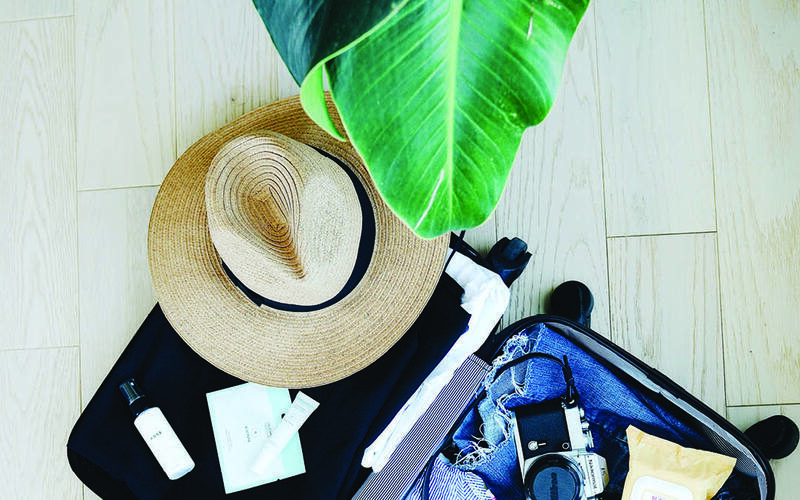 Those who unpack and get settled when they arrive at a new destination are more at ease in any surrounding and are generally more flexible with change. If you are someone who doesn’t unpack, it could be a sign that you a bit (or a lot) closed off and avoid letting others close to you. You may be really struggling to let go of the life you had and avoiding the reality of your current life. You may focus more on what’s wrong than what’s possible. TIP: To advance your healing process, unpacking the emotional baggage you’ve been hauling around is important! You don’t have to do it all at once, just start somewhere! Healing Question #2: Do you go to the doctor? I get it, the doc is inconvenient, invasive, costly and you don’t always get an answer! But some folks avoid doctors because they can’t bear hearing a diagnosis or getting any bad news. A difficult diagnosis feels too overwhelming, so they opt to just live with it. In my experience, these folks have not had enough emotional support in both their early childhood and in their current lives. People who feel emotionally capable of handling hard things don’t avoid hard things; they face them so they can resolve them. However, even folks who lack support and avoid tough medical news will seek treatment when they become aware of a life-threatening problem because survival instinct kicks in. TIP: So if you’re feeling especially alone after your divorce, you need two things to kick start your recovery process: more support and access to your survival instinct. Healing Question #3: Conflict avoidant? Folks who avoid conflict or disagreements usually suffer from anxiety and a bit (or a lot) of insecurity. They don’t feel assured enough to tolerate emotional discomfort and would prefer everyone just get along and agree. They may tend to doubt themselves and their opinions or perceptions of things. And when faced with fast-talking, strong-willed or assertive people, they back down. Internal conflict is completely normal for anyone with unhealed emotional wounds. So if you are a conflict avoider, it makes sense that you are avoiding your own internal realities. TIP: Facing your uncertainty and confusion head-on may feel completely daunting. So perhaps it’s time to enlist some expert guides on your journey. It’s supremely important that any guide you choose doesn’t insert their own agenda (religion, gender or relationship bias). If you would like me to be one of your guides, be sure to reach out and let me know! Healing Question #4: Do you ask for help when you get stuck? Too often we feel stuck and utterly void of the energy needed to persevere. Stuckness and apathy can be signs we need to cultivate more power. It may also be a sign that coaching is needed. The natural energy that comes from the right cheering squad is priceless. There are team sports and solo sports; but both enlist coaches, cheerleaders, and adoring fans. This healing process is not meant to be a solo act. TIP: We all thrive with positivity and motivation. We will always reach our goals faster when we receive the wisdom, support, and guidance of those who have already figured it out! If you can relate to one or more of the four questions, I’d love to help support and guide you! Click here to join my private FB community for divorce recovery. And Click Here to download my meditation to combat the loneliness of divorce.